Now that it’s getting hotter, my mind goes to some of my favorite “summer” foods! My mouth waters just thinking about it! 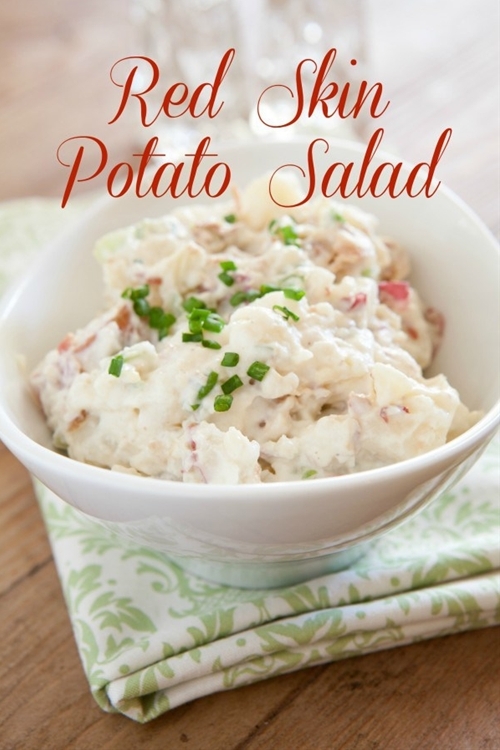 You can eat this delicious Red Skin Potato Salad hot or cold. I prefer it cold.